Chandigarh: As many as 4,592 persons died due to cancer in Haryana in 2017, the State Assembly was informed here today. The cancer deaths in the state were 3,380 in 2015 and 3,782 in 2016, the Assembly was informed in reply to a question raised by INLD MLA Parminder Singh Dhull. The highest number of cancer deaths last year took place in Faridabad district (771), followed by 501 deaths in Yamuna Nagar, 440 in Jind and 354 in Rohtak district. Panchkula district had the least number of cancer deaths (five) last year. In reply to another related question, the State Assembly was informed that Fine Needle Aspiration Cytology (FNAC), biopsy and pap smear for early detection of cancer are being performed free of cost in various civil hospitals of the state. Cancer patients in Haryana are also allowed to travel in Haryana Roadways buses for free. The state government spent over Rs 2.27 crore from January 2015 to January 2018 for treatment of cancer patients under various schemes. 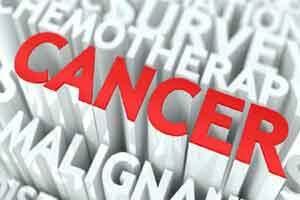 No direct financial assistance is provided to cancer patients, the Assembly was informed.